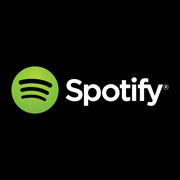 TOKYO (Hypebot) – A few small but very public moves appear to be telegraphing Spotify's next major business moves. Two job postings – one for a public relations professional in Japan and the other a re-advertised job posting for a stock regulatory filings expert – point to an expansion into Japan, the world's second largest music market, and the long rumored IPO. A regulatory filings expert is required to be compliant with the Sarbanes-Oxley Act which sets standards for U.S. publicly traded companies, according to Reuters who first broke the story.